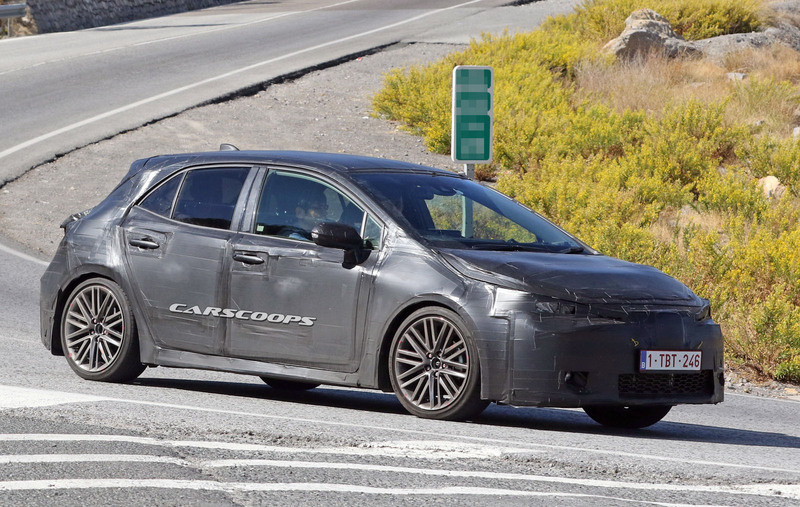 Closer look at the TNGA based next generation Auris/ Corolla hatchback. Even with the camo already looking quite a lot better than the current car, better stance and proportions. 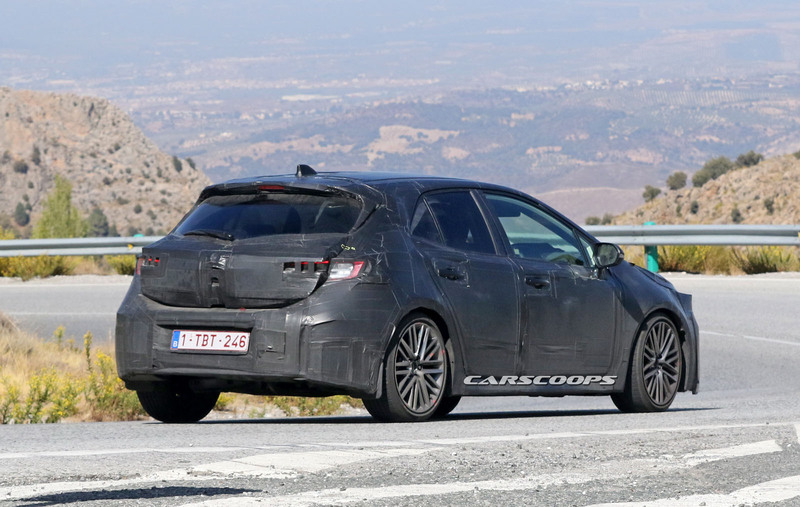 And interestingly, teh whole greenhouse and belt line seems to link it more to the initial 2006 Auris, kind of forgetting the often criticized as dull current design. Agreed. Already looks like it will be a substantial improvement in the looks department. I doubt this will reach the states. When the iM and iA are over, its all over for the Scion Remanent. Actually, considering Toyota has dropped the VFD/LCD/LED/whatever clock and is now displaying the time on the infotainment screen in the 70 series Camry, I'd say the same will be happening with this new Auris/Corolla and any other new gen model going forward. Plus they've killed off the cruise control stalk, got rid of mechanical releases for boot/trunk/hatch and fuel filler lid release (now electric), and even the throttle pedal is pivoted from the bottom instead of the top. And don't forget they have a new generation of engines surfacing as well. What is wrong with anything mechanical? Interesting...silhouette reminded me more of an Infinity than a Corolla somehow. I'm curious to see how it turns out. Hopefully they don't mess it up. Same here. Looking decent so far.